1. Easy controlled attachment joint and quick hitch plate. change different attachments quickly and easily. 2. 24.4KW (32HP) Perkins diesel engine, big power. International warranty that enjoys local service. 3. Joystick handle. Operating smoothly and comfortably. Joystick pump is big working flow. 4. Wheel type and track type optional. 5. Easily maintenance. 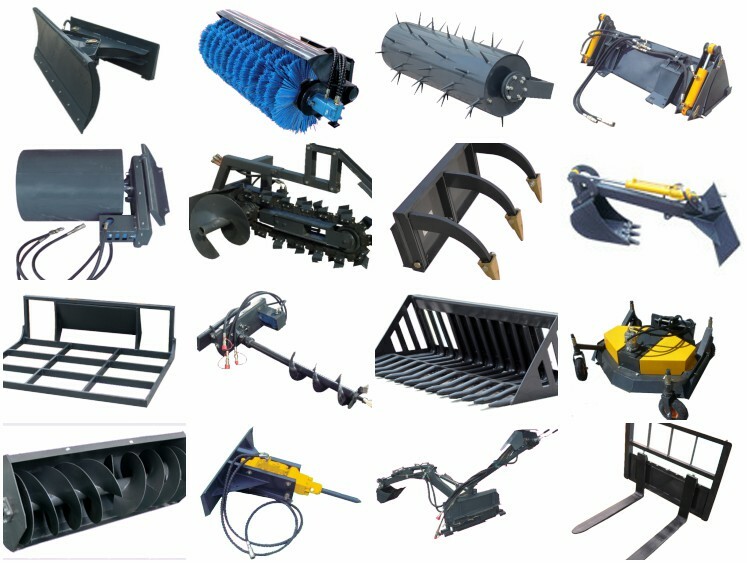 Upper cover and back guard plate can be opened and dismounted easily. 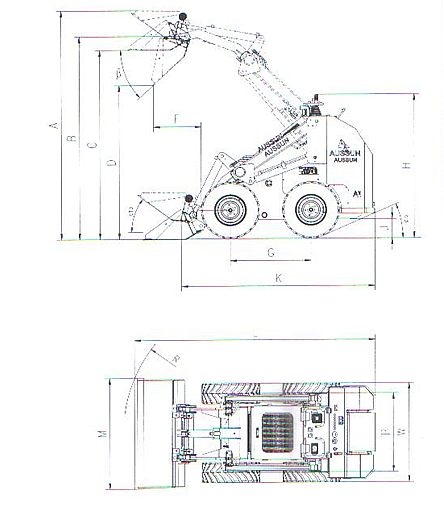 6.One loader can for various function. 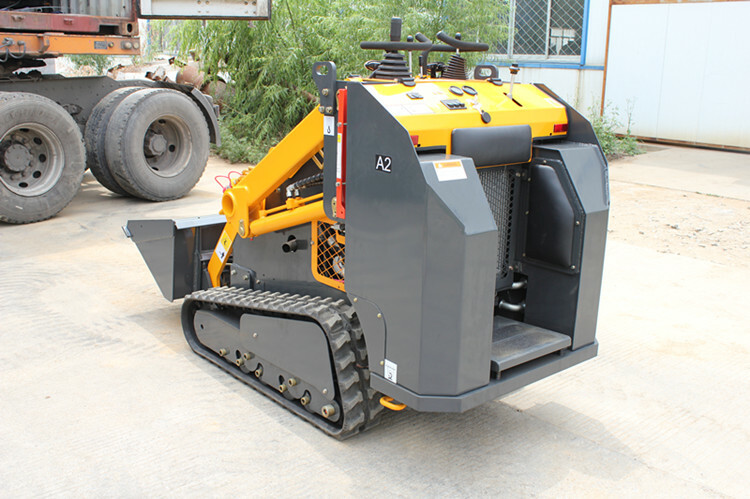 A1,A2 mini skid steer loader can attach different attachments, such as bucket, digger, auger, backhoe, hydraulic breaker, pallet forks, angle broom, sweeper,lawn mower, snow blower, stump grinder, tree spade, 4 in 1 bucket, leveler, dumping hopper, ripper, grapple , tiller, mixer, stone bucket, trailer, snow blade and so on, thus ensuring there is a tool for every job you can do possibly.